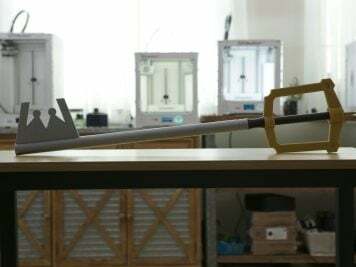 Becoming Frozen’s Elsa Takes a Lot of Work « Adafruit Industries – Makers, hackers, artists, designers and engineers! Do you want to build a snowman? No? 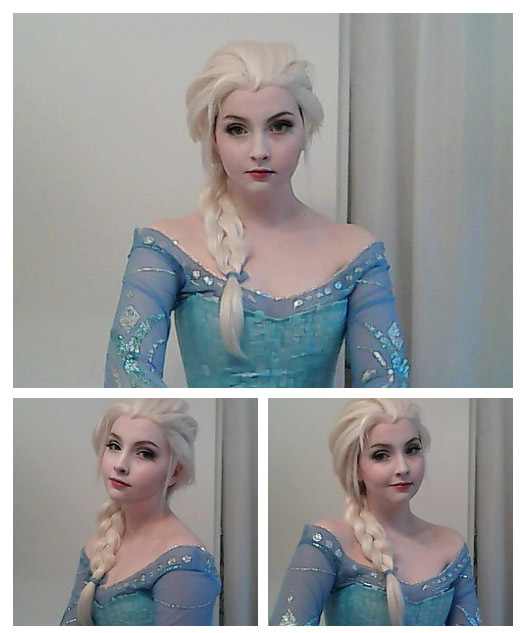 Well, then I think you should spend about 250 hours making an Elsa costume. 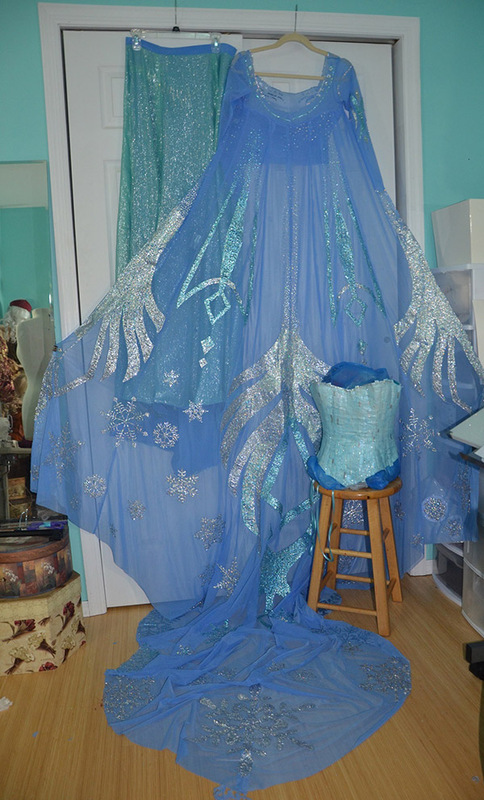 That’s about how much time cosplayer Angela Clayton spent crafting this costume from Disney’s Frozen. While she says it’s not entirely accurate to the on-screen version of Elsa, she was going more for the Snow Queen look she wanted. 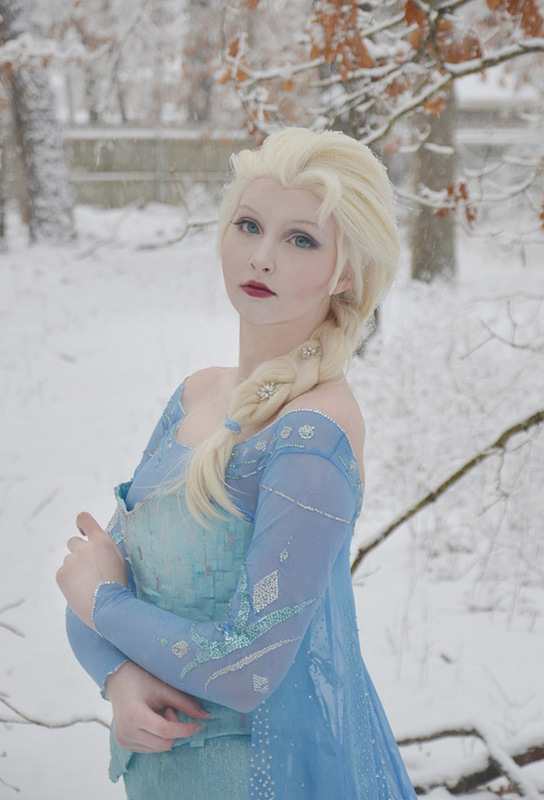 She drafted every piece of the costume, styled the wig, and posted detailed tutorials over a five part series. I’m especially impressed by the embellishments she added to the cape. Overall, she used over 100,000 rhinestones on the entire costume. You read that right. Once I finished drafting the designs, I did something very important – I taped wax paper over top of them. As I said earlier, the process is very easy, it’s just slow. You have to spread the glue over a small space, usually a square that’s no more then two inches by two inches (any larger and the glue will dry before you can get to it) or a line that is less then ten inches long. Then use a wet Q-tip to pick up rhinestones and deposit them where they need to go. 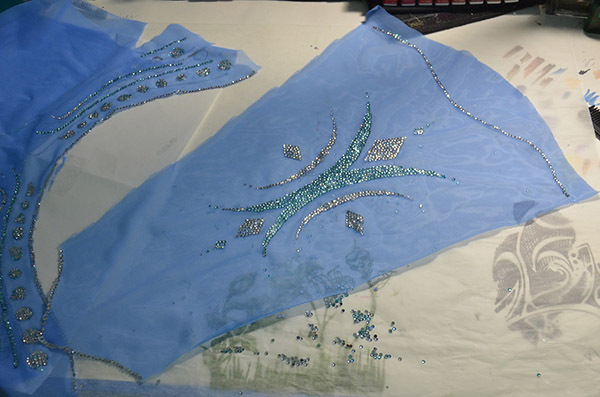 The process of embellishing snowflakes was very similar to the main design, but instead of spreading the glue with a brush I used syringes, which allow for very precise dots and lines. Not long after I started I ran into the issue of fabric not staying in place properly. It tended to wrinkle or move while I was trying to apply stones, and it became very frustrating. So I taped two pieces of foam board together and covered it in wax paper. Since it was foam, I could pin through it, and pin my fabric in place so it stayed taught. Read more at Angela’s blog.